These small cute wine cups (5 in a set) cost me 2000 Won (South Korea Currency). I bought them at Doosan Tower Shopping Mall in Dongdaemun of South Korea. The sizes of these cups are 6 cm in height and 4 cm in diameter. 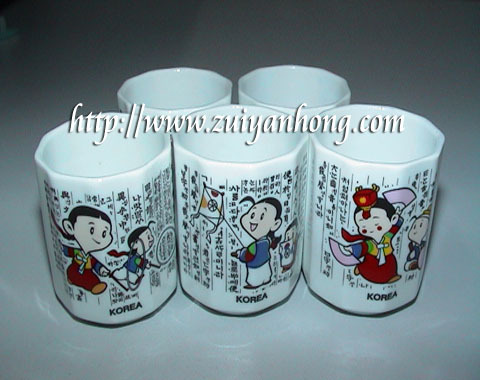 Each cup is printed with Korean characters and graphic of cultural activity. It's so cute the korean cups for the wine,like you can use it as for tea too!